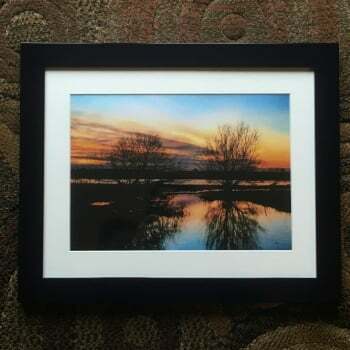 This wonderful original print from Ruddick Garden Gifts has been named "The Power of the River Eden" and shows the aftermath of the devastating floods that hit our city. Nature is shown in all its beauty and reflects the beauty through the water and the sun leaving a last punch to the day. Framed in a simple black frame and with a plain white mount this stunning picture would make a wonderful gift.